Fuego, a lovely combination of a beach bar, restaurant and cafe, is located right on the beachfront of Acharavi, on the northern part of Corfu. This is one of the most popular spots on the island. The sea is close enough to feel the light breeze at nights, while guests enjoy the fine hospitality of Fuego. 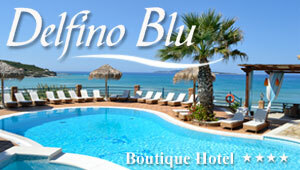 The restaurant of Fuego gets pretty popular with tourists and locals from all over Corfu. The restaurant offers a mixed cuisine. A variety of hot and cold snacks, along with a wide choice of refreshments make Fuego a nice place for small social gatherings. The lounge has two areas and there is plenty of space for everyone to chill out. The ambiance is cozy with dim lighting and a live DJ to play the latest popular numbers in the dance-pop genre. A few yards behind the cafe, there is a spacious parking lot for guests.